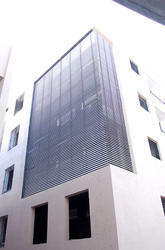 Manufacturer of a wide range of products which include exterior metal louvers and aluminum sun louvers. 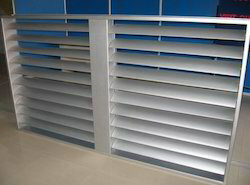 Owing to our vast experience, we have been successful in catering to the requirements of our esteemed clients by offering quality Exterior Metal Louvers. Highly appreciated by the customers for their fine finish, these products are manufactured using excellent quality material that is sourced from vendors of high repute. Latest machines and advanced technologies are used in the manufacturing process so that these are in accordance with the guidelines laid down by the industry. Owing to our vast experience, we have been successful in catering to the requirements of our esteemed clients by offering quality Aluminum Sun Louvers. Highly appreciated by the customers for their fine finish, these products are manufactured using excellent quality material that is sourced from vendors of high repute. Latest machines and advanced technologies are used in the manufacturing process so that these are in accordance with the guidelines laid down by the industry.